There is a free 2-week trial after which the subscription pricing kicks in. With SOFY you don't need to write test automation scripts. 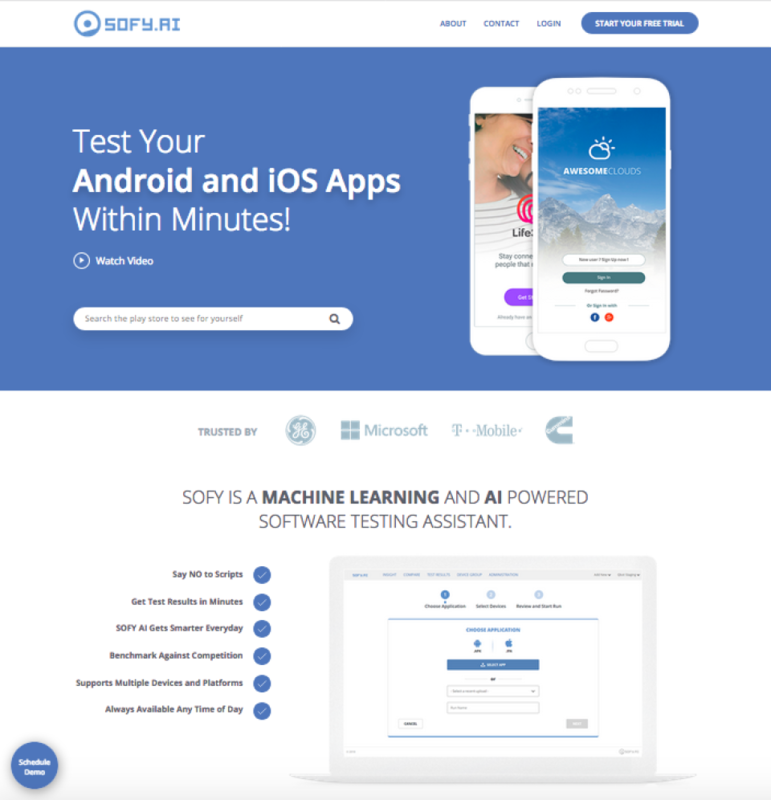 SOFY allows you to test your apps on physical Android or iOS devices as well as emulators. SOFY can be trained by your team for line of business applications and gets smarter everyday. With new frameworks surfacing, its important to be aware of their issues the moment they are discovered. SOFY not only identifies the frameworks used within your app, but also all the known issues with those frameworks.